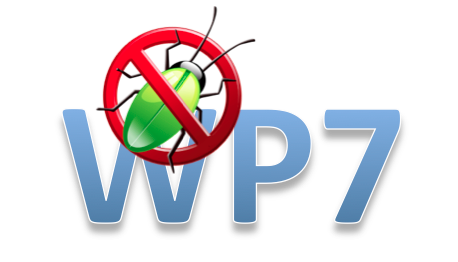 WP7 Data Bug Finally Identified? "We have determined that a third-party solution commonly accessed from Windows Phones is configured in a manner that potentially cause larger than expected data downloads. We are in contact with the third party to assist them in making the necessary fixes, and are also pursuing potential workarounds to address the configuration issue in case those are needed. At this point in our investigation, we believe this is responsible for most of the reported incidents." A pesky bug that reportedly uploads upwards of 50MB of data to unsuspecting Windows Phone 7 users may finally have been unearthed. It is believed that a third-party solution is at least partly to blame. Microsoft is working together with the solution provider on a fix. Readers: have any of you experienced this issue? I have a HTC HD7 and I also have the "send feedback" option enabled but I do have not experienced any high usage. On the other hand I do not have a Yahoo account which some people mentioned as a possible responsible, I use Exchange, and I also do not use Facebook. Protect a partner while penalizing users affected by the issue and potentially exposing others to be affected is ethically wrong and a very stupid decison both by a business and a PR point of view. Furthermore with WP7 all apps have to be approved by MS before becoming available to the customers and this could exposes MS to the risk of being held accountable for the issue. I both agree, and disagree with your points. While it may be "ethically wrong" to expose users to this bug without telling them which app is responsible, it is also in the best interests of both companies to not disclose it until a fix is released. The truth is that this affects a *very* small percentage of users, and most (if not all) of us have temporarily solved the problem by turning off our data connection when we are in range of WiFi. Right now, I keep mine off at all times unless I need the internet and it is the only way to connect. It is simply not annoying enough to me to get upset over. Yet. Also, I am using an HTC Surround on AT&T, and I don't do Yahoo, so I think it might be a problem that is *related* to using Yahoo mail, but not *because* of it. I've disabled the "Send Feedback" option, but it was already set to *not* use the data connection so I don't think that was the issue. Regardless, I will not be turning back on my data connection full-time until this issue is resolved... even if there is a less drastic work-around. It would be interesting to see if this is only on the AT&T 200 MB/m plans. I think the non-disclosure of the information is consistent with the indemnification that Microsoft tends to offer along with keeping a good relationship with their partner(s). I am curious to know the details of the bug myself. But I recognize that I'm not owed that information (and even if I were, what could I do with it?). Side note, I've not seen the high data consumption occur on T-Mobile USA and the HD7. For example uninstall the app responsible fo the issue and request a refund. As for good relationship I would be really upset if I was going to buy an app tomorrow and a couple of days after discover that the same app was responsible for the data issue and both the developer and MS intentionally concealed the problem. Come ON - disclose and pay up! You can't sell a third party app without MS approving it. If there is an App that is faulty and because of it's flaw(s) it exposes buyers to excessive costs, then both the App developer and MS are liable for those costs. If they deliberately conceal the problem with the App, thereby increasing the cost to buyers, they can also be resposible for damages, and any protection they can hope for from 'Disclaimers' will be swept away. You can practically hear the Class Action Lawfirms sniffing around this one. Of course, there would have to be a decent sized installed database to make a Class Action worthwhile (for the Lawyers that is!). Perhaps you didn't realize you were just Beta-Testers, not Customers of MS! More to the point, what does this do to current and potential Customers perceptions? If they both fessed up, apologised and told everyone to disable or uninstall the App, then provided a free corrected edition, most people wouldn't bear too much animosity. Windows Phone - The best Ad for Windows Mobile Ever!